We are very proud to release our latest light, the GENESIS!!! Big Dog Lights last light was The Alpha Elite. It was successful for last 5+ years for it's quality of build, brightness, and light weight. The Alpha Elite had a great following and was highly recommended by all of our customers. At a glance the new GENESIS looks like every other Big Dog Light. At a closer look you can see great quality and attention to detail. Due to some great engineering, the GENESIS is the lightest and brightest light on the market. Weighing in at a meer 17.6 ounces. It is not only .5 ounces lighter than our previous model. It is also ounces lighter than our competitors. We didn't cut any corners by trying to reach this feather lite weight. We have also increased strength and durability by making the entire light from 100% machined aluminum.... Including the Battery Box!!!... We wanted to increase the durability and rigidity of our lights, and wasn't able to achieve this with a plastic battery box. Because we have the box machined to our specs, there is no wasted space, but still offers maximum protection for the internals from impact, debris, and water resistance. The head has also been redesigned for strength and durability. With the swivel being completely captured by our bracket this offers the most rigid setup available, and still easily removed for long cord lights or beltlights. Brightness isn't sacrificed for the lightweight either! The GENESIS has a great spot, and is a good bit brighter than our previous model! When compared to the competition it is brighter than most or just as bright as those ounces heavier! The walk light is wider and brighter than what we have ever put on a light. The colors are brighter and better flooded also! There is four settings for the main spot. The burn time on the main spot is 2.5-3 hours wide open, and a week on the lowest setting! The Walk Light and colors have a High and Low setting. With the Walk Light burning 18 hours on high, and the colors on high being 38 hours. 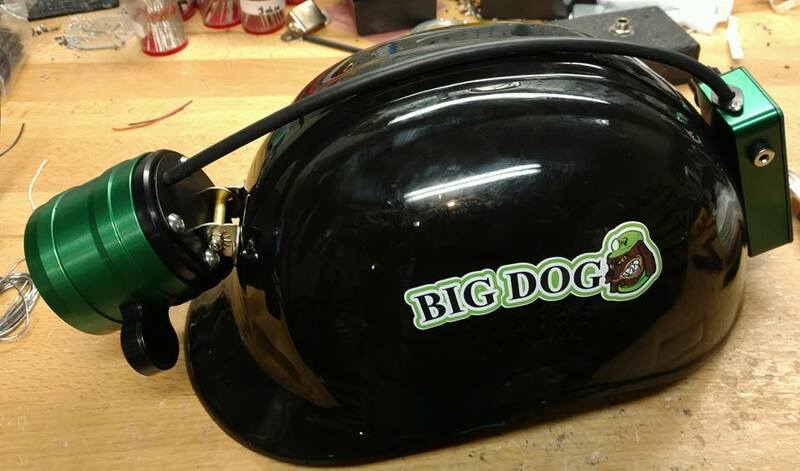 Big Dog Lights is known for it's great customer service. Which is something we strive for! It The GENESIS has a 2 year bumper to bumper warranty and a lifetime on labor.